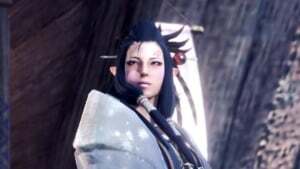 Third Fleet Master is an NPC in Monster Hunter World (MHW). NPCs are non-playable characters that interact with the Hunter during the story or optional activities in game. The Leader of the Third Fleet, stranded in the New World after her airship got into trouble, this strange and beautiful Wyverian still hasn't abandoned her mission. With the help of The Tracker and her fleet, she keeps on researching the Coral Highlands and, most importantly, what lies below it: the Rotten Vale. Main story character? Plot device? Third Fleet Master is part of the 3rd Fleet. Any clue what kind of tool she&apos;s smoking?